TOKYO (Feb 24): The dollar clawed back some ground on Friday after skidding to a two-week low against the yen, but was still on track for weekly losses after the Federal Reserve meeting minutes disappointed dollar bulls. 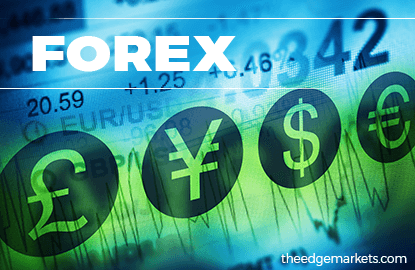 The greenback inched 0.1 percent higher to 112.73 yen but was just off a two-week low of 112.55 plumbed overnight and down 0.3 percent for the week. The dollar failed to shrug off pressure from the Fed minutes released on Wednesday, which were more dovish than some market participants had expected. "Market participants were still digesting the FOMC minutes from the January meeting, and there seems to be two different camps in the reading of those minutes - whether they introduced a more hawkish tone, or a more dovish tone - and it appears the doves are winning that battle," said Bill Northey, chief investment officer for the private client group at U.S. Bank in Helena, Montana. Also weighing on the dollar were New U.S. Treasury Secretary Steven Mnuchin's remarks in his first televised interviews since taking office last week. He told Fox Business Network that any policy steps the Trump administration takes would likely have a limited impact this year. Mnuchin told CNBC that he wanted to see tax reform passed before Congress' August recess, a timeline that fit many investors' expectations but disappointed those hoping for more rapid reform. The euro was off this week's lows but remained pressured by fears about anti-European Union rhetoric from French presidential candidate Marine Le Pen ahead of the first round of French elections on April 23, with the second round to come in May. The euro was on track to shed 0.2 percent for the week against its U.S. counterpart, but was steady on the day at $1.0584, well off this week's trough of $1.0494 hit on Wednesday, which was its lowest since Jan. 11. The euro's struggle gave sterling a tailwind. The pound stood at $1.2553, up 1.2 percent for the week. "We would not be surprised to see GBP/USD retrace to 1.25 but breakouts after long periods of consolidation tend to have continuation," wrote Kathy Lien, managing director at BK Asset Management.